MOSCOW, May 14. /TASS/. Chief executive of the Russian Center for Strategic Research (CSR) Alexei Kudrin told reporters on Monday that he has accepted the offer made by deputies of the United Russia (Edinaya Rossiya) party fraction in the State Duma to run for the office of the head of the Chamber of Accounts. "I appreciate the United Russia fraction for my nomination and has given consent to stand for election to the position of the head of the Chamber of Accounts," Kudrin said. The Chamber of Accounts will particularly focus on delivery of strategic tasks and May Decrees of the Russian President, he added. Kudrin also said that reduction of corruption in the finance sphere would be his task in case of approval in the position of the Accounts Chamber head. "Corruption control is also assigned to the function of the Accounts Chamber. We need to improve its control, prevent it in the first instance, and create mechanisms in the financial system that arrest corruption growth. 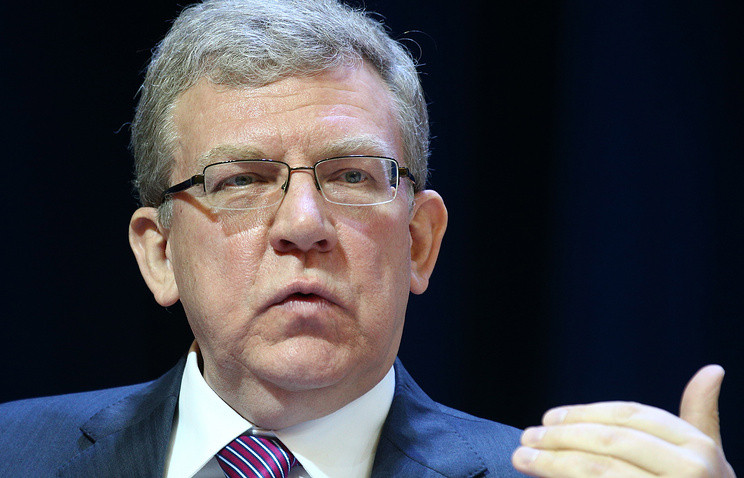 Therefore, we see our task now to significantly reduce corruption in the finance sphere," Kudrin says. Tatiana Golikova, who heads the Chamber of Accounts since 2013, was nominated to the position of the deputy prime minister in the new government.